Roots Training Services is an in-house training company and a connected Company at Leaf Care Services. It provides excellent quality training in Adult care to both internal employees and other organisations across the UK. Roots training has a number of training centres across East Anglia and also delivers training via E-Learning Portfolios. Roots is a specialist training provider in Adult Care Services. The trainers and assessors are working practitioners in Adult Care Services, they supervise carers and train the qualifications, this means the training is up to date with current practice. Roots training is able to integrate the training courses within the active job roles for the students supporting the training needs in line with CQC requirements and apprenticeship off-the-job rules. Roots Training offers Apprenticeship qualifications in Adult Care. You can earn whilst you learn. We offer this training to Levy and Non-Levy paying employers. Roots Training Services is listed on the register of apprenticeship training providers, RoATP; this means that it has been through an application process with the ESFA (Education Skills Funding Agency) that considers due diligence, capability, quality and financial health to assess Roots Training is capable in delivering high-quality Apprenticeship training, as a Main Training Provider. The register of apprenticeship training providers shows the organisations that are approved to deliver apprenticeship training to employers using the apprenticeship service. 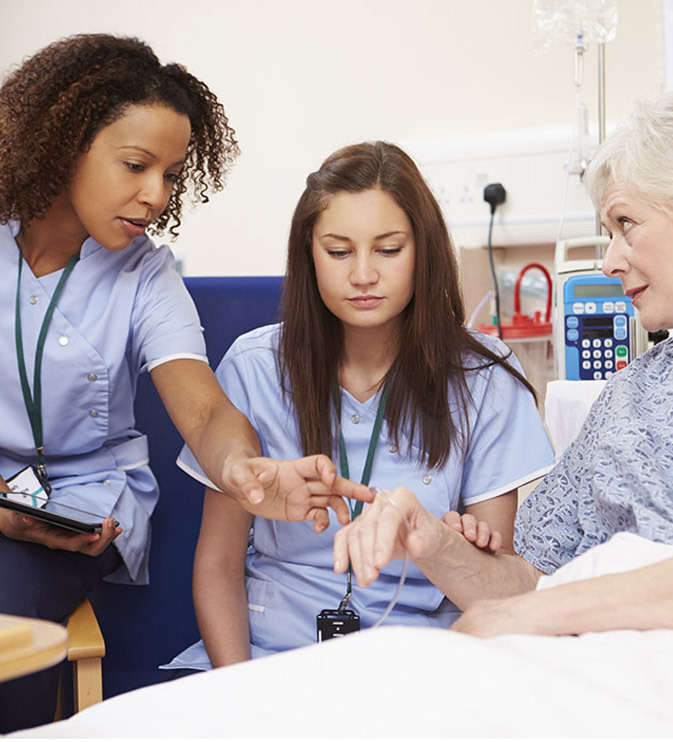 The Adult Care apprenticeships are seen as a benchmark qualification in the health and social care services and NHS careers, with established pathways into roles in these sectors. The course is aimed at Carers and teaching is provided by an assessor, with learners carrying out practical tasks in their day-to-day roles. Work is completed through a completed portfolio of written reports, observations and work-placed assessment.